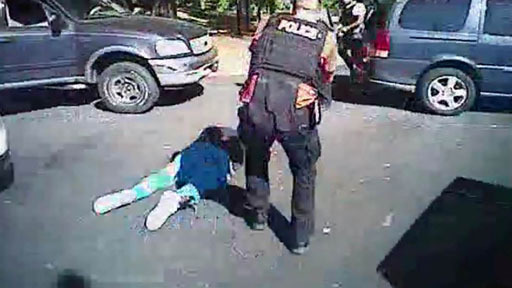 The Randy Report: BREAKING: Officer Who Shot Keith Lamont Scott "Acted Lawfully"
BREAKING: Officer Who Shot Keith Lamont Scott "Acted Lawfully"
Charlotte police Officer Brentley Vinson's deadly use of force was lawful the day he killed Keith Lamont Scott, Mecklenburg County District Attorney Andrew Murray said Wednesday in announcing no charges will be filed in the case. In response to public speculation about whether Keith Lamont Scott was armed the day he was killed by police, Mecklenburg County District Attorney Andrew Murray said "all the credible evidence" leads to the conclusion Scott was armed. His DNA was found on the grip of a gun found at the scene, Murray said. Mecklenburg County District Attorney Andrew Murray is holding a news conference, describing new details from the day Keith Lamont Scott was killed by Charlotte-Mecklenburg police officer Brentley Vinson. Murray showed surveillance footage from a convenience store shortly before Scott was shot at an apartment complex. The footage showed a bulge around Scott's ankle. Murray said the bulge is consistent with the holster and gun later described by officers. The district attorney also said at least three officers reported seeing Scott holding a gun before he was shot, though dashcam video did not show that detail.